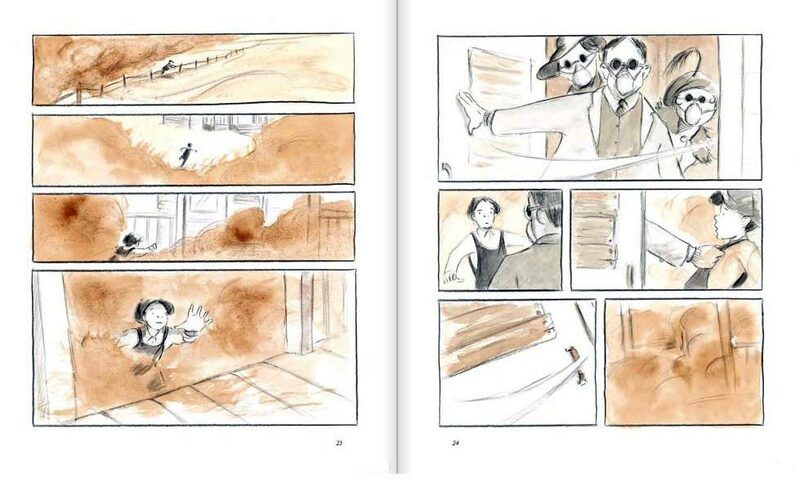 This is a graphic novel, a historical fiction novel, and a thriller--all in one book! 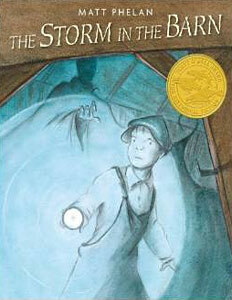 Set during the dust bowl, it tells the story of 11-year-old Jack, who is already dealing with bullies at school and devastating dust storms..
A lover of tall tales, Jack soon becomes part of a tall tale himself, forced to face a shadowy figure he keeps seeing in the barn. He initially wonders if he has 'dust dementia', but soon understands that the figure in the barn is the dreaded 'Storm King' who has been holding back the rains. He wants to just ignore what he's seen, but realizes that he must be brave in order to save his desperate town. In a starred review, School Library Journal said, "Children can read this as a work of historical fiction, a piece of folklore, a scary story, a graphic novel, or all four...A complex but accessible and fascinating book. " 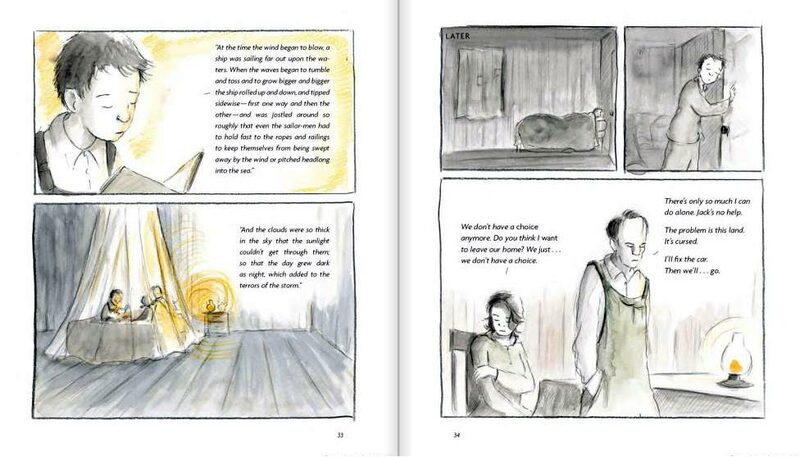 And Publisher's Weekly said the standout in this graphic novel is "the Dust Bowl setting... Phelan's art emphasizes the swirling, billowing clouds of fine grit that obscure even nearby objects." Below are some sample pages from inside this book. As you can see, it's nearly wordless but communicates a great deal about what it would have been like to live during the dust bowl! 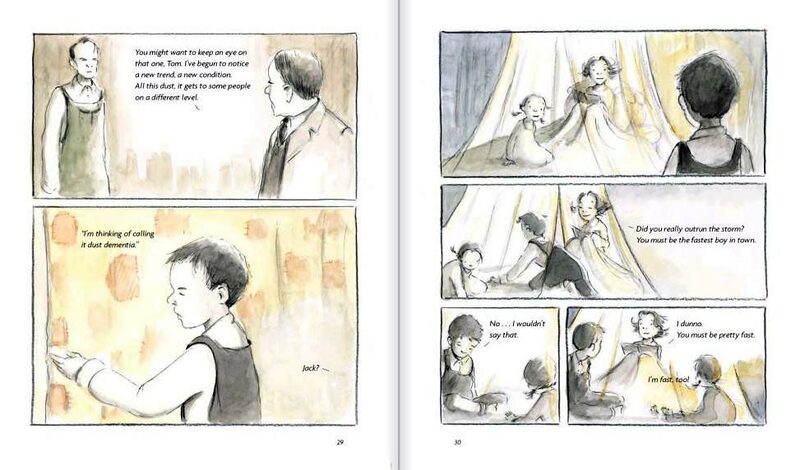 We firmly believe in the power that graphic novels for kids have in sparking an interest in a subject. And...we feel the same way about a good historical fiction book for kids. This is bound to be mighty powerful in the hands of kids! Now that you've seen this great book, what would you like to see now? Please note that as an Amazon Associate, we earn from qualifying purchases.